It used to be that the biggest brand in the category was the target for all sorts of social, ecological and ethical issues. Today, big brands are changing this pattern as big brands face the issues and stand up for what they wish to stand for: in other words, acting like a leader, leading by example. Case in point: Panera Bread. For some time, Panera Bread has communicated that it only serves “clean food” – that is, food without unpronounceable or other lab-created ingredients. Panera Bread has consistently stood by its clean food proposition for at least three years. Now, Panera Bread is communicating its commitment to complete food labeling transparency. Although this new communications approach (see it on Facebook Watch) is designed to highlight people who are leading the way in changing the way the American food system works, Panera Bread is building, cementing and expanding customer trust in the brand. There are five principles of Trust Building and Panera Bread is hitting on all five cylinders. Talk is educational and edifying; but actions are evidence. Provide iconic tangible evidence that what you are claiming can be trusted. Iconic products and services are tangible demonstrations of the truth of your claim. “We are listening” is important. But, iconic tangible expressions of the claim are essential. Panera Bread’s first iteration of its new communications platform focuses on grains. The brand will now disclose the whole grain content of its breads. Panera Bread indicates that it is currently the only national restaurant company to do this. The new labeling will indicate the percentage of whole grain in all Panera Bread’s breads with over 50% whole grain. Staying silent when big issues are at stake is not a leadership signal. Silence means agreement. Trust is too important for silence. Leaders stand up and stake out their positions. Being defensive is a signal of something to hide. Being an active participator is always better than being a passive spectator. The writer Joseph Conrad (Heart of Darkness, and more) wrote, “… the power of sound has always been greater than the power of sense.” Panera Bread used the last several years to communicate its clean food. The brand found a tonality and creative approach that reinforced its commitment to multi-syllable chemical ingredients. The brand was able to find the right voice in signaling its dedication to values it has with it shares with its customers. Providing trustworthy information is part of the Panera Bread platform. With its new communications around transparency, Panera Bread is providing helpful, convenient, understandable, and valuable information not only on grains, but on other issues such as “plant-based diets, sugar consumption, egg production, and cattle farming.” With these open, conversational messages, Panera Bread is becoming an open source of accessible, timely and trustworthy information. The data are clear: Millennials and their younger cohort, Gen-Z, are proponents of transparency. In their world, there are no secrets. These cohorts are also very committed to sustainability, responsibility, ethical behaviors, and find artificial ingredients and methods abhorrent. Panera Bread’s expansion of its clean food messaging is right on target with good citizenship: the brand is treating transparency not just as an ingredient list but as a referendum on how food must be produced. Leadership means leading the way to the future. 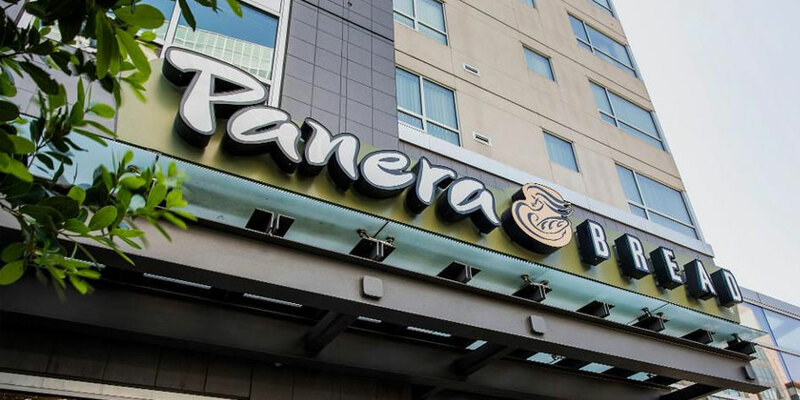 Panera Bread has identified its brand destination. Panera Bread is moving forward by driving the brand trust train and asking us to hop on board.